NordVPN is a Panama based VPN service provider with amazing features that ensures probably the highest level of internet privacy and anonymity of current time. NordVPN is considered to be one of the best logless and anonymous VPN service providers in industry. NordVPN is a very fully-featured VPN service provider that gives you high level military-grade encrypted privacy, protection & security of your virtual identity while surfing, and help you access all your favorite sites with highest possible level of anonymity of current time. NordVPN runs its VPN service under the jurisdiction of Panama, where there are no mandatory data retention laws. Apart from this, NordVPN never stores any kind of identifiable logs of its users when using their services. This zero-logging policy makes them one of the best no log VPN choices available for privacy fanatics. The protection of users’ privacy is their main concern. They have been helping Internet users browse safely and privately for more than ten years while running a premium VPN network optimized for high speed and reliability. They currently operate 1400+ secure VPN servers across 60+ countries to help their customers bypass censorship, geo-blocked websites and content throughout the globe with high tech privacy. By purchasing their VPN service you can enjoy unlimited bandwidth, stable good speed and your choice of servers in 60+ countries around the world. NordVPN works at the TCP/IP level, which means all your applications are secured, not just your web browser. NordVPN uses military-grade encryption to hide your traffic from prying eyes. VPN service can protect your whole system and network, including your mobile phone, tablet, and even TV. It also protects all your applications, such as your web browser, Skype, Facebook app, online poker software, etc. It’s stable and fast, with low ping times, and their servers are designed to withstand heavy traffic, making them ideal for fast Internet browsing, HD video streaming, secure VoIP, and more. 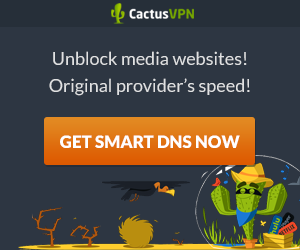 I personally treat it as one of the best logless VPN as well as best anonymous VPN service providers in industry. In this NordVPN review, we’ll introduce you first with the pricing plan of this provider so that you can choose one plan that best suits your desire of using this best VPN service. NordVPN offers three different subscription plans which vary by subscription length. However, all subscriptions come with a 30-day money-back guarantee. There is also a 3-day Free trial option which you can use for testing. I think if you purchase their service, you’ll not think twice to leave them. NordVPN offers a 3-day free trial account where there are no usage-limitations during the trial while allowing full access to all the servers included in their master plan. When the trial will expire you can proceed to upgrade to a paid account. But it is your choice whether you upgrade it or not. Anyone can take advantage of it and it takes only 2 minutes to create the account. But before taking the trial benefits, you should contact NordVPN’s support team via Live Chat so that the process becomes easier for you to activate. Currently NordVPN has 1400+ servers located in 60+ countries worldwide. They are in Austria, France, the United States, the United Kingdom, Spain, the Netherlands, Italy, South Africa, Romania, Brazil, Poland, Australia, Sweden, Hong Kong, Switzerland, Russia, Lithuania, Canada, Singapore, Germany, Latvia, Albania, Belgium, Bulgaria, Costa Rica, Czech Republic, Denmark, Egypt, Estonia, Finland, Greece, Hungary, Iceland, India, Indonesia, Ireland, Israel, Luxembourg, Malaysia, Mexico, Moldova, New Zealand, Norway, Portugal, Romania, Slovakia, South Korea, Taiwan, Thailand, Turkey, Ukraine, Vietnam etc. NordVPN, as the best VPN provider, works on all these operating systems : Windows, Mac OS X, iOS and Android, and supports all major devices including PCs, iPhones, iPads, game consoles etc. Each of the applications includes all the necessary configurations, so that users can download, install and start using it within minutes. Encrypting web traffic, hiding IP addresses, bypassing content censorship – everything happens in NordVPN very quickly and easily, with just a few clicks. NordVPN apps are so easy to use that anyone can set them up and get online in moments. There are no bandwidth limits, so no matter what device you use, you never have to keep your eye on a meter. NordVPN gives you unmetered access for 6 devices simultaneously. So it’s easy and affordable to protect your whole network by setting up your laptop and smart phone to access NordVPN at the same time, or use your tablet and game console together. You can even set up your home or office router to work with NordVPN. That way, every device connected to your router is also connected to NordVPN, which is a great way for businesses and families to protect all their connected gear with a single VPN account. NordVPN is probably one of the most cordial providers in VPN industry when it comes to connecting more than one device at a time. Due to high demand among clients and the changing INTERNET user behavior, NordVPN now allows their users to set VPN connect on up to 6 devices simultaneously. meaning a total of 6 devices can be connected with 1 NordVPN account at the same time. However, there is only one limit here. If you connect devices to the same server, you must choose different protocols for the VPN connections (TCP and UDP are different protocols hence you can connect one device to TCP other to UDP). That means that a total of 4 devices can be connected to a server at once – through L2TP, PPTP, OpenVPN TCP and OpenVPN UDP. If you have two more devices at home you can connect them to another server with any two protocols. Filtered, blocked Internet is like visiting a library filled with only the books your aunt likes. Just hop on NordVPN and get instant access to the blocked websites, all from anywhere in the world. If social websites, P2P file sharing service, or VoIP applications are Blocked, then unblock them and get access to the whole Internet with NordVPN. In this NordVPN review, I’ll depict an overview of the security and privacy level of NordVPN client software in detail. For ensuring utmost online privacy and security in any situation, NordVPN offers a variety of VPN protocols so that you can set your preferred level of encryption, speed, and privacy protection between your computer and the VPN server location you connect to. When you use their VPN, all in-and-outgoing connections between your computer and their VPN server are anonymized with military grade privacy and no third-party can see your real IP and DNS addresses. The Protocols are: OpenVPN (TCP & UDP), L2TP/IPsec and PPTP. OpenVPN: OpenVPN is the best performing protocol with faster speed, even on connection with high latency and across great distance, very stable, even behind wireless routers, on non-reliable networks, or on wifi hotspots. OpenVPN is considered to be the safest protocol of current time supporting up to AES-256 encryption that is highly recommended for Mac, Windows, iOS, Linux and Android to ensure military grade privacy. As soon as the OpenVPN connection is established all Internet traffic is routed through the VPN automatically, regardless of the client software being used. It is a versatile protocol that can be used on both TCP and UDP ports. It supports a great number of strong encryption algorithms and ciphers to ensure the protection of your data. NordVPN uses AES-256-CBC with a 2048bit DH key. OpenVPN is currently used by default in NordVPN apps. We recommend it for the most security-conscious. L2TP/IPsec: L2TP/IPsec is a protocol built into most desktop, phone, and tablet devices. It is a good choice if OpenVPN™ isn’t supported by your device and security is top priority. L2TP/IPsec supports up to AES-128 combined with Microsoft Point-to-Point encryption. Due to the leverage of both, it is noted as highly secure if it is with 256-bit encryption. It is dependable and reliable, if your NAT device supports IPsec pass-through properly. It usually needs some custom configuration to set up. L2TP/IPsec is more secure than PPTP, but is not as fast, therefore it’s a good choice for those that value security over speed. The IPSec protocol, standardized by the IETF, represents another encryption alternative. Almost all modern operating systems support IPSec on its own, so usually no additional client software has to be installed. Like OpenVPN, IPSec routes all Internet traffic through an encrypted tunnel. IPSec offers itself especially when high speed is desired. An IPSec connection is usually faster and requires less CPU power than an OpenVPN connection. The disadvantage is that the user is required to trust the certification authorities (Root-CAs) that come along with the operating system. While unlikely, this allows a theoretical Man in the Middle attack by the Root-CA itself. This is not possible with an OpenVPN connection. PPTP: PPTP is a slightly faster due to 128-bit encryption, easy-to-use protocol with a simple setup process. But it provides the basic security. It is a good choice if OpenVPN™ isn’t supported by your device and utmost security is not your top priority. PPTP is available for Mac, Windows, Linux, iOS, Android, DD-WRT, and others — but does not supports AES encryption. Instead, PPTP uses Microsoft Point-to-Point Encryption, which has severe security weaknesses. Problems may arise when some home routers or ISP do not allow Generic-Routing-Encapsulation (GRE) tunneling. Overall it’s easy to set up, widely supported and is a great choice to bypass geo-restrictions. Well…I performed multiple tests using different protocols and servers offered by NordVPN at different IP tracker websites to see with my own eyes about how much capable NordVPN is of hiding my real IP address assigned by my local ISP. I am highly impressed that I found all of them supremely OK. I, for example, only show below here the image of the result got at renowned IP tracker website www.ip-tracker.org where I used OpenVPN protocol. The image shows that NordVPN’s client software works perfectly in hiding my local IP address, as my IP is not visible here at all. You only see an Australia IP Address 107.181.128.59 perfectly altered by NordVPN. I also performed DNS-Leak tests with NordVPN at different DNS-Leak-Tracing websites. And I am very delighted to report that ‘DNS leaks’ were never detected during my tests. I , for example, show below here an image from my test results performed at high quality DNS-Leak tracer website ipleak.net and www.perfect-privacy.com/dns-leaktest . You see the image shows the result of ‘No DNS Leak’, as you only see Hong Hong IP address and DNS information managed by NordVPN; not the DNSs assigned to my local ISP. We are very delighted to say that all the platforms currently supported by NordVPN have an IPv6 Leak Protection. That means, if a NordVPN customer were to have an IPv6 IP address, their IPv6 interface would be blocked and only IPv4 traffic would be rerouted and encrypted with NordVPN, which ensures that your real IP address never leaks. When establishing an OpenVPN connection, their VPN software adds additional routes and IPv6 traffic is effectively rerouted to a “black hole” within the device. This feature happens by default on all NordVPN applications that use OpenVPN, requiring no user action. IKEv2/IPsec protocol does this automatically. Kill-switch is an innovative feature to ensure data privacy and security of all users by disabling all internet activities when the VPN disconnects. To ensure complete protection, NordVPN added this ‘Kill Switch’ feature in their VPN software that disconnects all your internet activities if the VPN connection drops. It means when kill-switch is enabled and the connection interrupts, the client software automatically blocks all outgoing network connections so that your real IP is protected from being exposed. Kill-Switch in NordVPN app is an optional feature so you can switch it on if you feel the need. But, this tool only manages to protect the user’s privacy until it is connected. In most disconnection cases, users do not even realize that their VPN connections have stopped working. Cyber criminals and surveillance agencies stay on the lookout for these few unprotected moments to get into a system and compromise its security. Luckily, this will not be the case anymore with NordVPN users, because of Kill Switch feature. According to my practical experience, NordVPN’s Kill-Switch works perfectly. I got very impressive result. Reports from some users have brought to light an internet security hole first in VPN industry that might reveal your local IP address to websites/web-browsers through ‘WebRTC’. The ‘RTC’ in WebRTC stands for Real-Time-Communication, and the API directory is used for voice calls, video chats, and p2p file sharing. This WebRTC was originally developed to aid certain types of connections between browsers without the need for an additional plugin. But today’s most remarkable worrying subject in VPN industry has been WebRTC that could be used to discover your local IP address provided by your local ISP, even under the presence of a VPN connection. So, does NordVPN client software has the capability to protect your local IP address from being leaked through WebRTC? NordVPN introduced a security suite, called ‘CyberSec’ for Windows and macOS (OpenVPN) users. From now on, NordVPN users, in addition to military-grade encryption with double hops, can use ‘CyberSec’ technology to protect them by blocking intrusive advertisements and defend against malware, phishing, unrestricted internet access and other malicious online cyber threats. By ‘CyberSec’ you can take full control of what you watch online and shield yourself against all those flashy pop-ups and autoplay ads. The blocker will prevent ads from loading right before you enter a website, take care of your data security by constantly checking suspicious websites and blocking the dangerous actions it can detect even if you are accidentally lured into a phishing or a malware-hosting site, and also prevent your device from participating in DDoS attacks even if it’s already infected with a malware. NordVPN gives you a private and fast path through the public Internet. All your data is protected every step of the way using revolutionary 2048-bit SSL encryption even a supercomputer can’t crack. When you connect to NordVPN.com the ‘Tunnel’ is created. All data in this ‘Tunnel” is encrypted so that only you know the content of what is being sent. The data is encrypted to 2048 Bits. This is an excellent level of security whilst maintaining good levels of performance, even on older machines and lower powered devices such as Phones and netbooks. NordVPN is more than just VPN – it’s everything you need to keep every bit of your private data protected online. Their safe and secure VPN is part of a complete online privacy solution that also includes secret notes and web proxy extensions. NordVPN’s free proxy servers are available to anyone running their proxy server extension for Google Chrome. It’s free, it installs in seconds, and it gives you instant access to NordVPN, the world’s most advanced VPN. Some providers suffocate P2P traffic, but NordVPN does not. So you can download and upload to your heart’s content, at consistently blazing speeds. Some providers just don’t like P2P. And they throttle it so much that you might not like it much, either. But NordVPN got a better way to P2P, one that won’t slow you down. With NordVPN, you get the best quality video and multi-gigabyte games delivered over custom-configured, lightning-fast P2P servers. In the past, some users might have experienced the issue where the internet connection would be thwarted if you turned on the torrent client on one of the servers that did not support P2P use. But with the new solution you won’t have to worry about choosing the right server for P2P. NordVPN has created a more user-friendly solution that will ensure further service stability for NordVPN clients and ensure you P2P with ease. NordVPN has a number of servers where P2P options are allowed, but also a number of servers that do not support P2P. The distinction is made to ensure the service stability. Whenever you will connect to a non-P2P server and turn on a torrent client, NordVPN service can automatically detect if the outgoing torrent protocol has been initiated (having a torrent client on is enough for the system to detect the torrent protocol). This would trigger the re-routing to the dedicated servers in Canada/ Netherlands. It would appear that you are browsing from Canada or the Netherlands after this, although you would be connected to two VPN servers, including the first server of your choice and the additional dedicated server connection. Typically the re-routing might take up to 5-10 seconds. If your internet browser would not load web pages, in that case all you would need to do is simply re-open the browser or open a new incognito browser window. If you will turn off your torrents client, your connection will remain routed through the server in Canada or Netherlands for 3 minutes. If you will not re-open a torrent client within 3 minutes, your internet traffic will be re-routed through the initially chosen server. # Our top priority is customer data security. Operating under the jurisdiction of Panama allows us to guarantee our no-logs policy meaning that your activities using privacy solutions, created by NordVPN.com are not monitored, recorded, logged, stored or passed to any third party. # NordVPN never logs where you go on the Internet. If anyone asks, the best we can do is shrug our shoulders. And we like it that way. # From the moment NordVPN.com user turns on NordVPN.com software, their internet data becomes encrypted. It becomes invisible to governments, ISPs, third party snoopers and even NordVPN.com. Further, we have a strict no-logs policy when it comes to seeing user activity online: being based in Panama, which is internet friendly country and does not require data storage or reporting, we are empowered to deny any third party requests. NordVPN offers a 30-day money back guarantee. If you wish to claim a refund, you can do so within 30 days following your purchase of NordVPN service. However, before refunding, they will troubleshoot an issue you experience first. There may be several nuances to a VPN service configuration and they are proud to solve 99% of issues encountered. But no refunds will be considered for accounts deleted for violation of their Terms of Service. Also subscriptions purchased via iTunes/App Store and Google Play Store are subject to iTunes/App Store and Google Play Store refund policies. This means, they cannot grant refunds if you purchased an app directly though the iTunes/App and Google Play stores. NordVPN’s friendly and professional support agents are available 24/7 to help you. Their FAQ section is one of the best solutions anywhere. But when you can’t find the answer you need their support, talk to one of their friendly and knowledgeable representatives. They’re so smart that even their developers pick their brains on occasion. Plus, they’re there all day, every day, so they’re available whenever you need them.